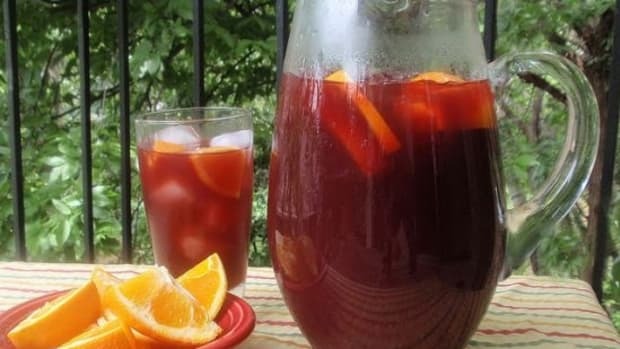 This unusual sangria recipe is perfect for your next party and will keep your guest guessing. 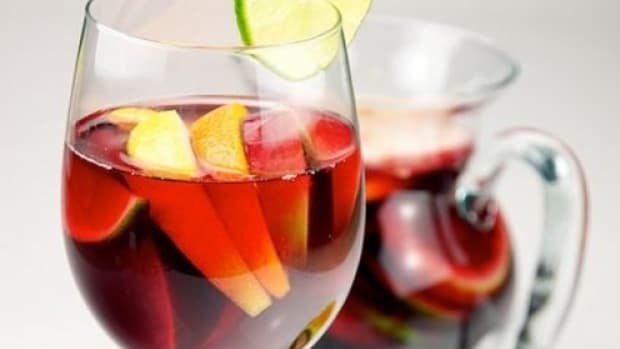 Serve sangria in a glass pitcher or punch bowl. Bring the water and sugar to a boil in a small saucepan. Stir in the rose geranium leaves, cover and remove from heat. 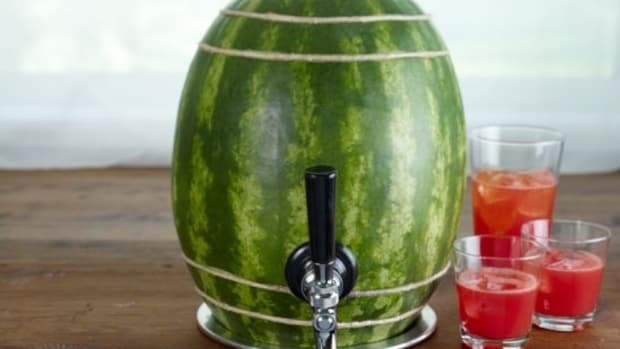 Let steep for 20 minutes. Strain and press liquid out of leaves using a wooden spoon. 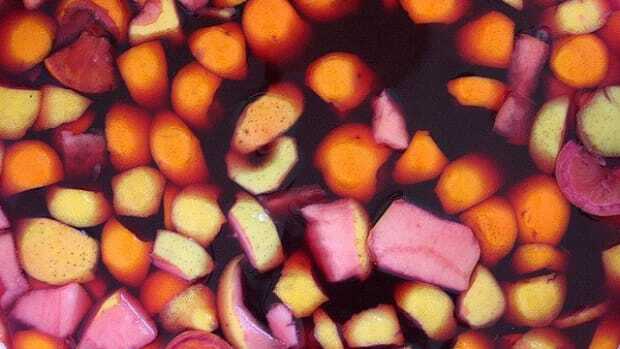 Chill infused syrup in an ice water bath or refrigerator until cool. 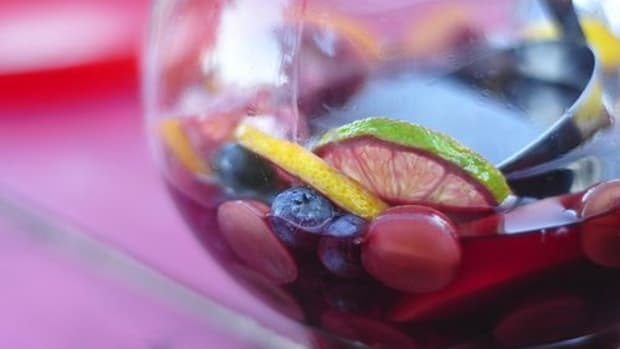 In a large glass pitcher or medium size punch bowl, combine the chilled wine, syrup, orange and lemon slices, and fresh berries. 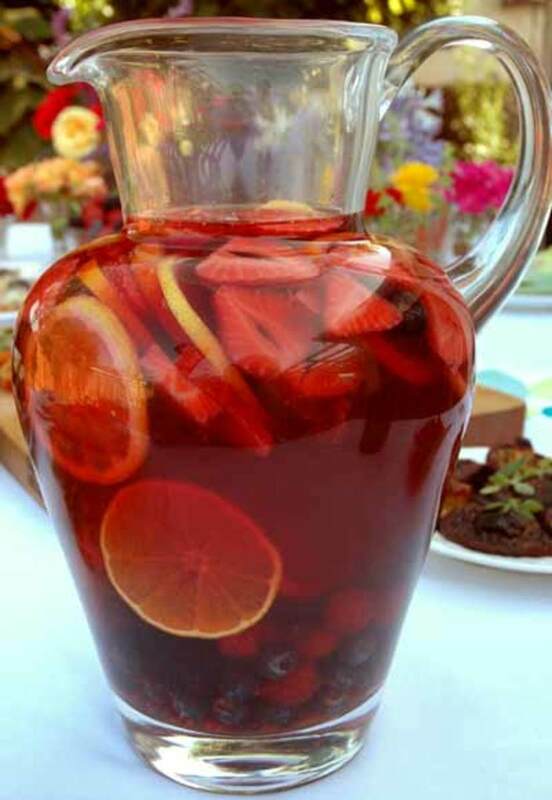 Chill for a minimum or up to several hours to let the fresh fruit infuse their flavors. 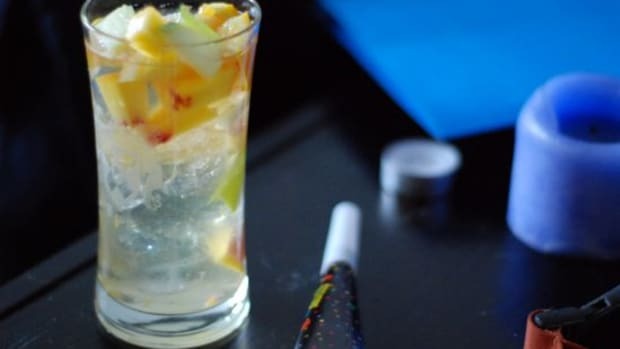 Before serving add the sparkling water or club soda if desired. Serve chilled. * You can find organically grown rose scented geraniums at a local nursery or farmers market. They must be pesticide and chemical free in order to be fit for consumption. Note: Because you follow an organic lifestyle, OrganicAuthority.com recommends using certified organic ingredients, when available, in all recipes to maximize flavors and nutrition while minimizing your risk of exposure to pesticides, chemicals and preservatives.